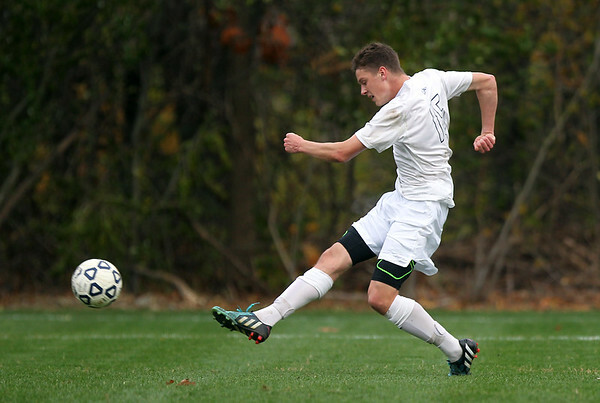 St. John's Prep senior striker Patrick Foley (15) rifles a shot on net against Westford Academy. DAVID LE/Staff photo. 11/5/14.